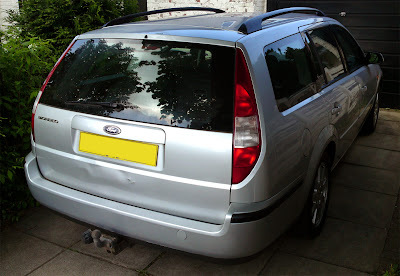 The Ford Mondeo - The Best and Worst Car I've EVER Owned! Even when you need to get everything fixed on it - it's still cheaper than fixing VW / Skoda cars with cambelts and dodgy waterpumps - thanks to the Ford's chain driven engine. Even when the tracking, balancing, anti-roll bars, wishbones and rear suspension are all shot, they're still more fun to drive than any car from VW, even the Skoda Octavia VRS with it's brilliantly fast engine and stopping power, that's horribly boring and sensible around corners, and has the dullest sound ever for a "sports" model, or the torquey, but heavy and ponderous VW TDI diesels with such narrow power bands you spend all day changing gear or stalling. When you get the Mondeo fixed, it's absolutely brilliant to drive, especially the petrol version with smooth power delivery, with the car feeling quite light to drive, even when it's a fully loaded estate model. Another thing Ford are capable of doing, is making seats that you can actually fall asleep in (whilst someone else is driving obviously!). It even looks quite good even when it's been treated like crap by numerous previous owners. Plus it's the only modern (new-ish) car that I know of that literally needs glueing back together - and I'm not talking about the flimsy plastic parts inside - I'm talking about the rear suspension which needs "arildite" (according to my mechanic, and honestjohn.co.uk says to use "Loctite 270 superglue") - otherwise it just clunks around and over every bump you go over (much like the front suspension - which needed a replacement top mount). Another reason why this car is absolutely rediculous is because it's got rust all over the bottom of the doors! How is it possible for car manufacturers to be so lazy that they can't be bothered stopping cars from rusting? One thing that the VW Group do so well is they make sure that all their cars are rust proof for 12 years. Have Ford forgotten the 70s, 80s, and 90s so soon? It's the best car ever because it's cheap to buy, very cheap to fix (it's so common there's even places called "The Mondeo Centre" that specialises in fixing Mondeos), great fun to drive, has comfortable seats, plus it's very big, and most of them have chain driven engines. Even getting hundreds of things fixed on the Mondeo, is still cheaper than spending money getting a few things fixed on VW / Skoda cars. (Spent around £500 getting things fixed on the Ford, including getting the AC fixed, spent around £900 on cambelts, waterpumps, brake master cylindars, calipers for the VW Passat (with it's dodgy waterpump and water plenums blocking wreaking the brake servo, and that's excluding the money spent on cv-joints and suspension problems, and a blown turbo), and around £700 on repairing the Skoda Octavia (door lock motor, starter motor squeek), and replacing the cambelt and v-belt tensioner.). One of the problems I had with the Mondeo, simply went away, of it's own accord! When I bought the car, the middle air vents didn't work, then one day, they suddenly started working, all by themself! And it's the worst car ever because everything breaks on it, it rusts, it needs glueing back together, it gets no respect from anyone, in fact it's so common it's like they don't exist, you will get driven out of the way by an Audi R8, but ignored by everyone else, whereas VW (Passat) TDIs will be driven out of the way by Audi TDIs, BMWs and everyone else. Even though everything does break on it, it's still cheaper to fix than VW / Skoda cars, everything breaks on them as well, but on the Ford it's much much cheaper to fix.